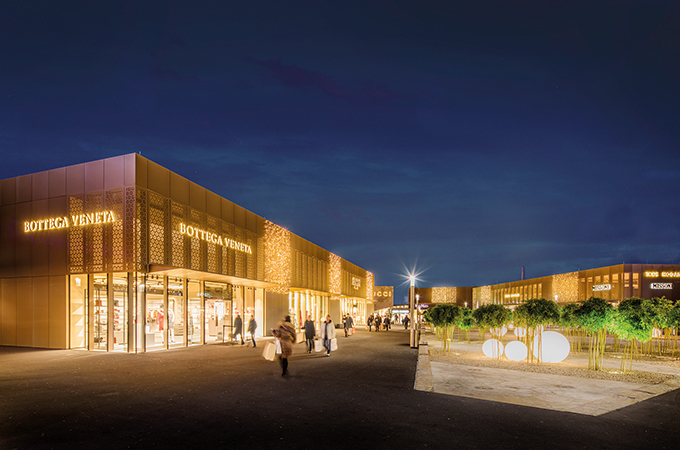 German value shopping village Outletcity Metzingen has emerged as the new number one outlet among the economically most successful ones in Europe, according to the recently released by Outlet Centre Performance Report Europe (OCPRE). With a school grade of 1,61 the OUTLETCITY METZINGEN is replacing the previous series winner McArthur Glen Designer Outlet, Roermond. The study, jointly conducted by management consultancy ecostra in collaboration with French research institute Magdus, states the centre has topped the list of the best outlet centres in Germany as well as in the category 'leasing'. For 10 years now, ecostra Gmbh, together with Magdus, have been conducting surveys of international brands who are tenants in outlet centres in Europe. The results, which are printed in the OCPRE, are considered a benchmark for the European outlet industry. “We are excited about this award, which is motivating us especially for our big expansion plans in progress. Starting in 2019, we will enlarge our sales area by a quarter of our previous area and welcome numerous premium and luxury brands and Hugo Boss will open its new flagship outlet. A successful start for a new era,” says managing director Wolfgang Bauer. “Next to expanding our brand world, we also want to increase the quality of stay and emotionalise and digitalise the shopping experience. Here it is important to act sustainably and innovatively, to put the customer in the centre to ensure long-term success,” says Bauer. The basis for the report is a survey that took place this year, in which 76 international brands participated. The main questions were about the economic success of the outlet stores in various European outlet malls as well as general topics like choice of location by the brands, expansion plans and the market development. Additionally, the participating brands at the respective locations were asked to rate the performance level of the outlet centre operator. The competency of the Holy AG, as the operator of Outletcity Metzingen, was mentioned specifically in the category 'Leasing'. With many premium and luxury brands presented in flagship outlet stores Outletcity Metzingen offers an incredible shopping experience. International brands like Armani, Bottega Veneta, Dolce & Gabbana, Etro, Gucci, Levi’s and Tommy Hilfiger offer an excellent product selection with prices reduced by up to 70 per cent throughout the year. The picturesque town Metzingen, 30 km south of Stuttgart and about two hours from Frankfurt, Munich and Zurich, is one of the most successful factory outlet locations in Europe with approximately four million visitors from 185 nations every year. The reason for this success lies in the traditional past of the town as a centre of textile industry and hometown of Hugo Boss. However, there is much more that Metzingen offers its guests. The small town with its historic centre worth seeing that is combined with modern award-winning architecture is embedded in a biosphere area and offers a large number of touristic attractions. A centuries-old grape growing tradition and first-class catering invite visitors to stay. From an Italian restaurant in a modern glass cube to home-style cooking in a rustic atmosphere, Metzingen leaves nothing to be desired. In addition, many exclusive events make a visit to Outletcity Metzingen a highlight the whole year round. A shuttle conveniently connects the outlet centre from Stuttgart. There is a kids club for children aged 3 to 12 and non-EU countries get an immediate Vat refund on site.